Some quick fans of House of Cards watched the first few minutes of the upcoming Season 3 of the Netflix hit show earlier today, when all 10 new episodes of the show suddenly became available. But only for a few minutes, the streaming service yanked it down almost immediately. Season 3 of the series was originally scheduled for release on Feb. 27, read here. Netflix blamed a glitch in the system for the error. 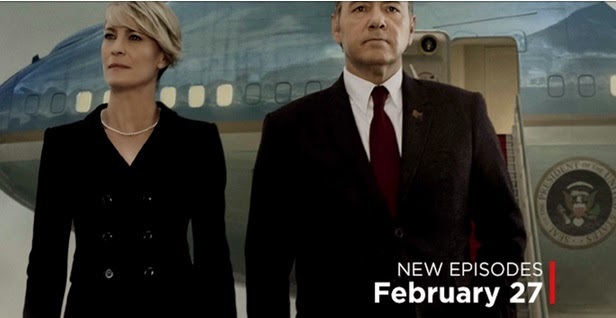 "Due to a technical glitch some Frank Underwood fans got a sneak peak. He'll be back on Netflix on Feb. 27," said Katie Urban, a spokesperson for Netflix. The show's official Twitter account made a joke of it: "This is Washington. There's always a leak," they tweeted. For those who saw those few minutes, they say Frank Underwood is now officially in action as the president of the United States. "You have to be a little more human when you're the president," Frank Underwood says to the camera, as usual, in a scene where he visits his father's grave.